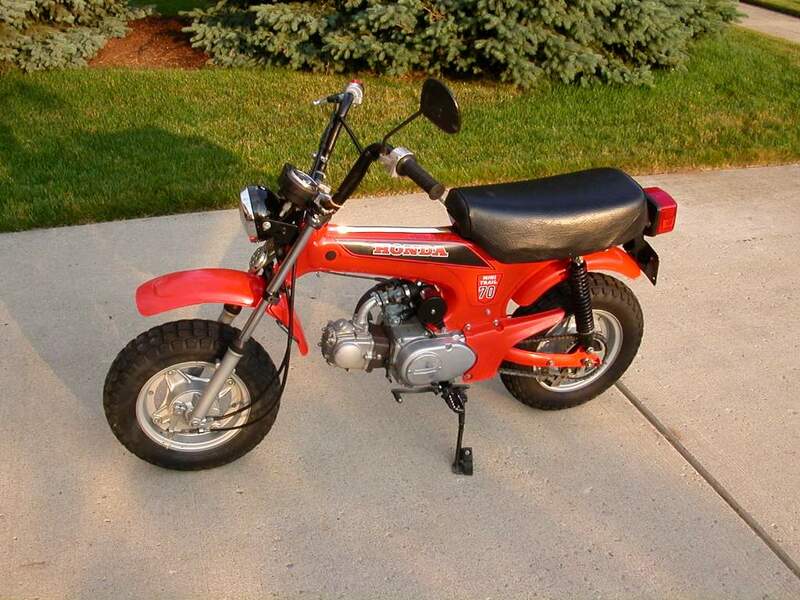 I bought this bike new back in the spring of 1983. 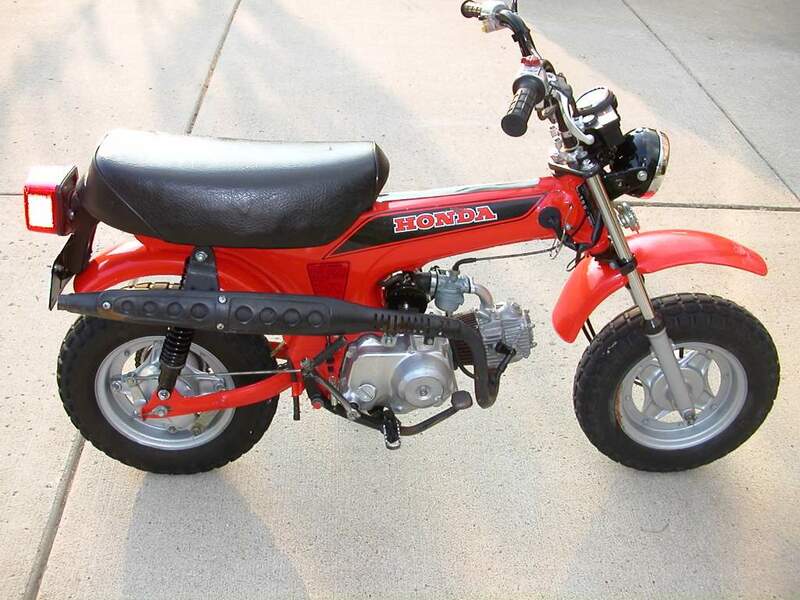 Somehow I had heard that 1982 was the last year Honda was going to sell the CT70 in the US. 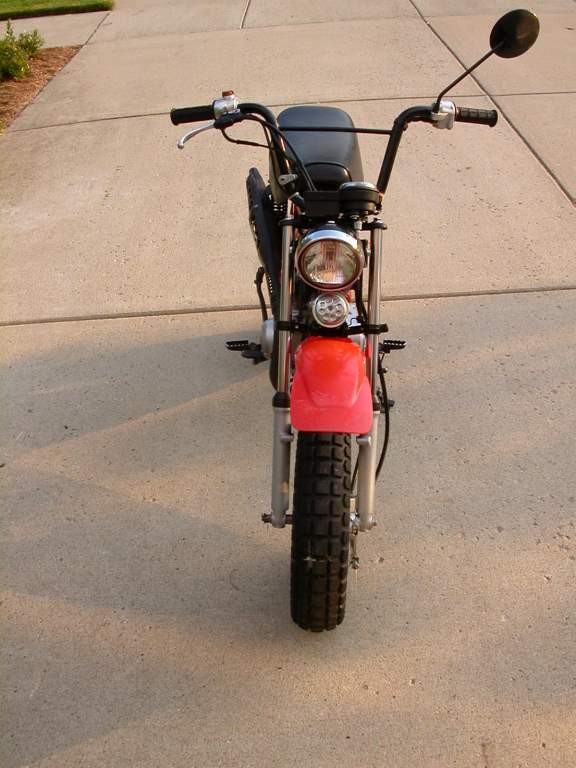 The first bike I ever had was a 1974 CT70, and I decided I just HAD to get one before they were gone! So I scrounged up the $600 or so (I have no idea how...I had just finished college recently and didn't have much of a job yet) and bought myself a brand spankin' new 1982 CT70 from the showroom floor. I've had her ever since. These photos are right before I took her apart a couple years ago to fix up some of the paint, like the slightly rusting front wheel, repainting the footpegs and exhaust,, etc. Didn't do much to her, but "freshened" a couple things that were in need of it after 25 years or so. Have left her alone otherwise, though...she's just as she came from the showroom floor, with the exception of removing the RH mirror and the turn signals to keep them from breaking off when the bike goes on the trails. They're tucked safely away in a box. 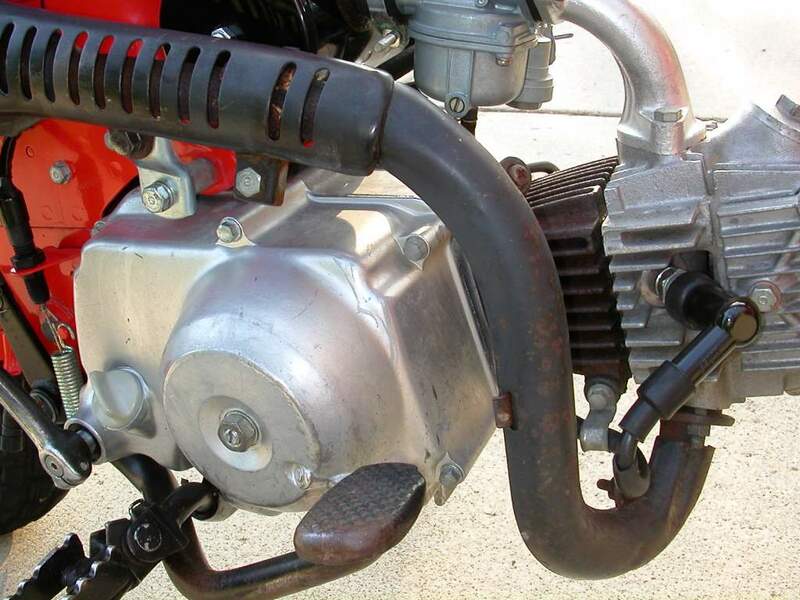 The bike is all original except for the tires and the muffler; it finally rusted out where they all do eventually and I installed a new one a couple years ago. 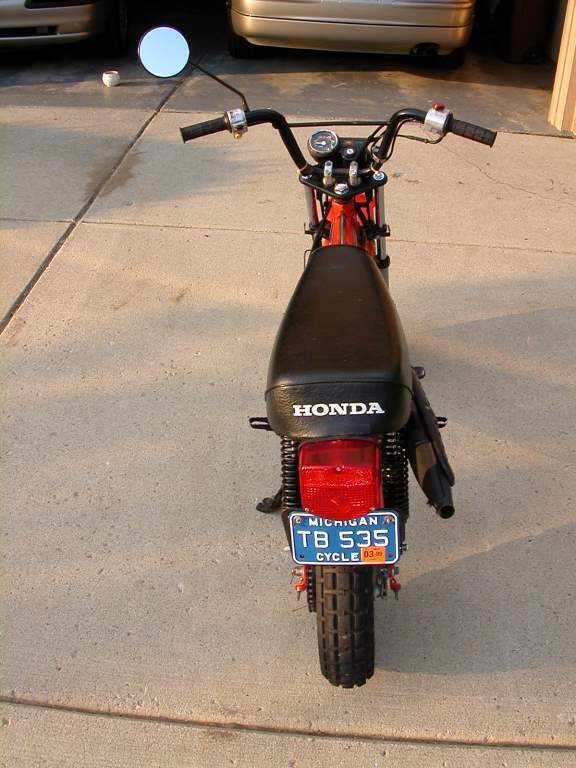 Otherwise this is a 1982 CT70 just as she was built. 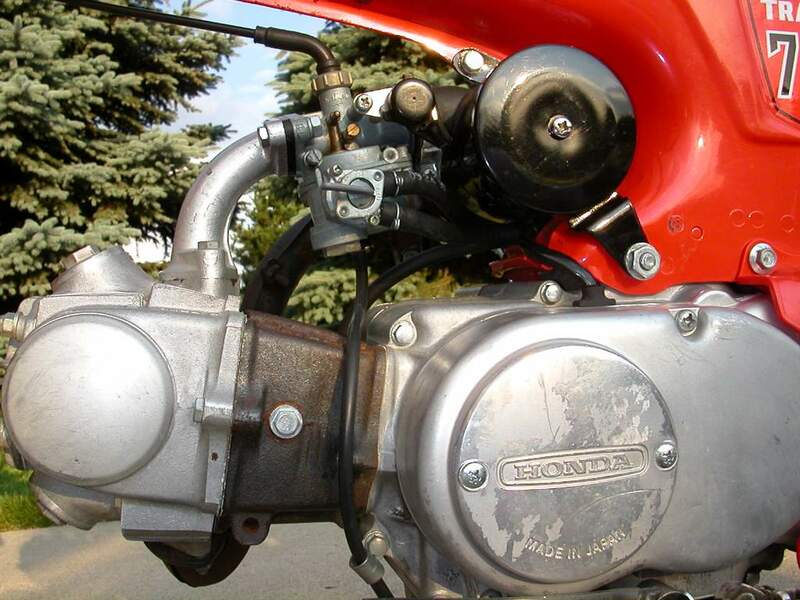 There's another 1982 CT70 on this site that looks identical. I fixed it up and gave it to my brother.